There's a NEW challenge blog out there! It's called The Cutting Edge Challenge Blog. 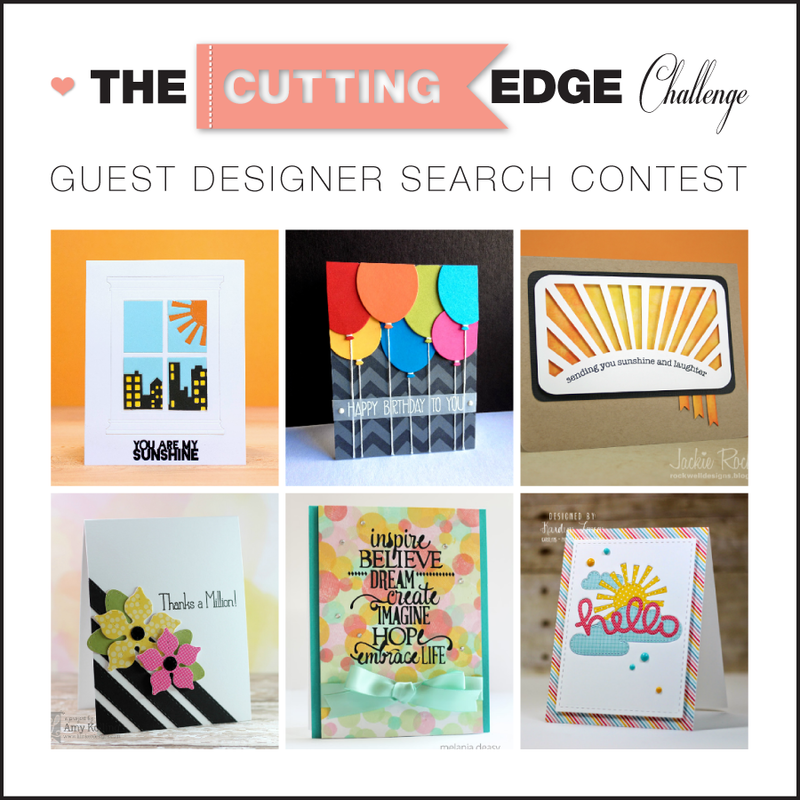 They are starting off with a Guest Designer Search. For my inspiration I chose the two cards on the right. It's quirky and I think it's FUN. So, a funny thing happened last night AFTER I created this card. I went back to The Cutting Edge Challenge Blog to upload my card and realized I didn't use any die cuts. DUH! It isn't called "THE CUTTING EDGE" for no good reason. Hahaha! So this morning I got up and stamped and die cut these sweet little butterflies from Hero Arts. If you decide to play along you have to use the image below as inspiration. And remember to add your die cuts! 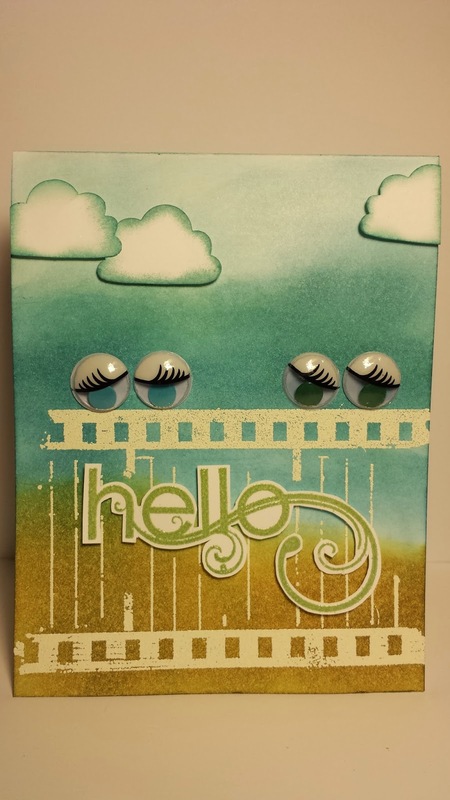 Hi Betty, Nice inked background and clouds, Thanks for playing along in our Cutting Edge Guest Designer Challenge! 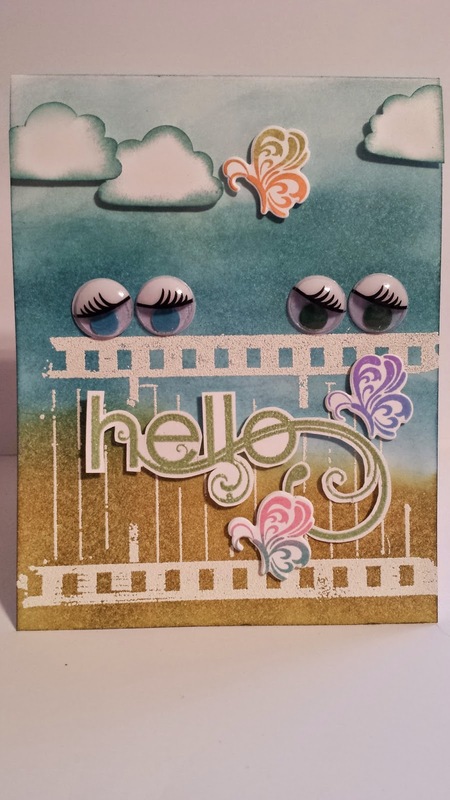 Great card, Betty...it IS fun...a fun scripted "hello" with a cool background!! Thanks for joining us for the challenge this week at The Cutting Edge:)! !